If you follow me on Facebook (Mark Murakami Royal Lepage), Twitter (@MurakamiMark) or Instagram (greycountyhomes), you know that we make an effort to get outside and enjoy winter weather rather than counting the days until the snow melts. We live in the snow belt and a winter without snow is just cold and grey and miserable, so why not make the best of it? Whether its something as simple as walking the dogs, wandering along trail on snowshoes or taking up snowboarding in my late 40s (yeah, I know, a little crazy but lots of fun and good exercise as well! 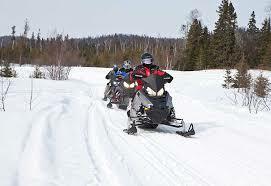 ), there’s no shortage of opportunities for an outdoor adventure in Grey County! 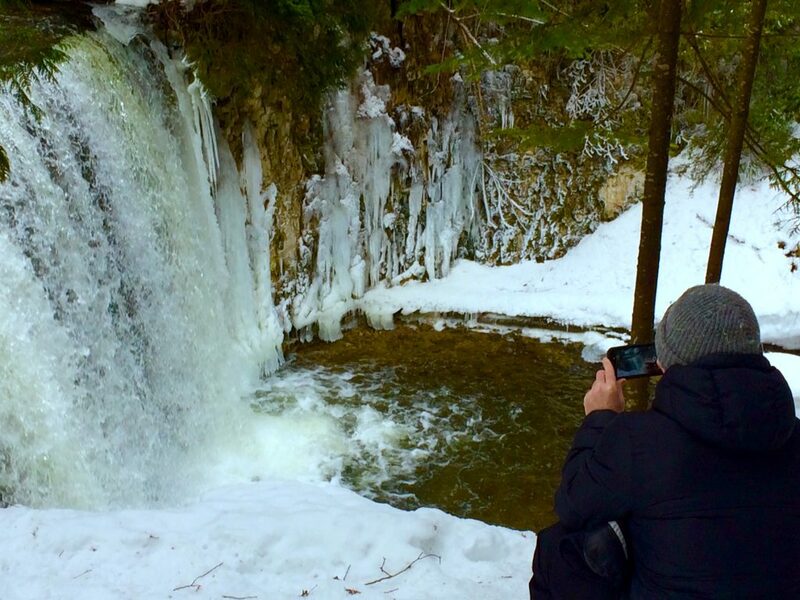 The Niagara Escarpment has created some beautiful waterfalls in our area and many of them are on clearly marked sections of the Bruce Trail and easily accessible during winter weather. Depending on the weather, water may be running or the falls may be frozen solid; either way they are gorgeous and give you the opportunity to take some unbelievable photos. It’s a good idea to visit the Grey County website to print off or download your own copy of their “Winter Waterfall Guide” which provides directions and information about the seven local waterfalls which are safe to visit during the winter: Eugenia Falls, Hogg’s Falls, Inglis Falls, Jones Falls, McGowan Falls, Walter’s Falls and Weaver’s Creek Falls. The guide will give you an idea of the length of each trail as well as some detail on the falls themselves. 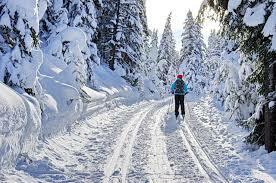 Make sure to dress appropriately (consider snowshoes as there can be quite an accumulation of snow and ice on the trails), allow yourself lots of time, take the weather forecast into account and stay on the trail. While you’ll want to take along some water and a snack, why not reward yourself at the conclusion of your hike by warming up at one of the many fine establishments in Grey County? And don’t forget your camera! There’s something different about skating at an outdoor rink. Is it the breeze and the sounds of the neighbourhood that surround you, the different feeling of the ice under your blades or maybe the friendly “everyone’s welcome to join in” atmosphere that seems to go hand in hand with smaller outdoor ice surfaces? Regardless, spending a little time at a local outdoor ice rink is a quintessential Canadian winter experience that everyone should enjoy! 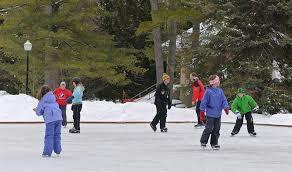 In Grey County we’re lucky enough to have quite a few local rinks in operation: Blue Mountain Mill Pond, Cobble Beach, Harrison Park, Hanover (indoors) and the village of Priceville (at Stothart Hall, home of the village’s famous Canada Day Celebration) which is maintained regularly by resident Doug Harrison (THANKS DOUG!). Find the rink that is closest to you and get out for a skate today! Dress warmly because you’ll have so much fun you’ll probably be outdoors for longer than you expected. Don’t forget your helmet (at least for young children), a thermos of coffee or hot chocolate, and your sticks and pucks for the pick-up game of shinny that’s bound to happen! We are all aware of the many downhill ski clubs that exist in our area and we are lucky to have such fantastic amenities to nearby, but not everyone likes their skiing to happen on the side of a steeply pitched hill. 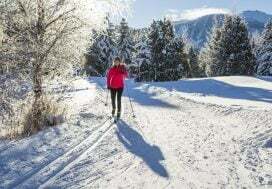 Cross-country ski enthusiasts can find any number of locations to get outside and get some exercise throughout Grey County as well. The Kolapore Uplands is a popular trail system covering more than 50km accessible off of Grey Rd 2. Take a map as the trails can be confusing for those who don’t know the area well and be prepared to lay your own tracks as “grooming is completed by the first skiers of the day”. The Glenelg Nordic Ski Club volunteer members maintain 25 km of wooded trails outside of Markdale. Memberships can be purchased and day passes are sold on the honour system at the parking lot entrance off of Grey Rd 12. The 10km Massie Hill Ski Trail is groomed weekly by the Owen Sound Cross Country Club and allows you to ski right on the Bruce Trail. The access point is just south of Grey Rd 18 and maps and information are available at the club’s website. Cobble Beach, most often thought of for golf, also offers more than 10km of groomed cross-country trails. They suggest calling ahead for trail and weather conditions. I’ve also heard good things about Allan Park‘s 15 km trail loops ranging in difficulty from beginner to advanced. I will admit that we are not a snowmobiling family…probably a result of both parents growing up in the city…but you don’t live in Grey County for long before realizing that locals LOVE their sleds! Whether its kids riding them to high school in the mornings, friends stopping in for coffee and a chat mid-run or stopping on a side road to let a parade of snowmobilers cross the road and get back on the trail, snowmobiles are everywhere during the winter months. Whether going out for a few hours or for an over-night trip, there’s over 3600 kms of trails through Grey and Bruce counties for you to explore. For resources, suggestions and a list of local snowmobile-friendly businesses, visit the Ride Grey Bruce Snowmobile site. Get your winter jacket, snow pants, mitts and toque. Get a thermos filled with something hot and a bag of something tasty. Get your kids, your friends, your neighbours and your relatives, and GET OUTSIDE! We are lucky enough to live in an area that many come to visit because they consider it a real life winter wonderland…it’s in our backyard, so let’s get out there and enjoy it!